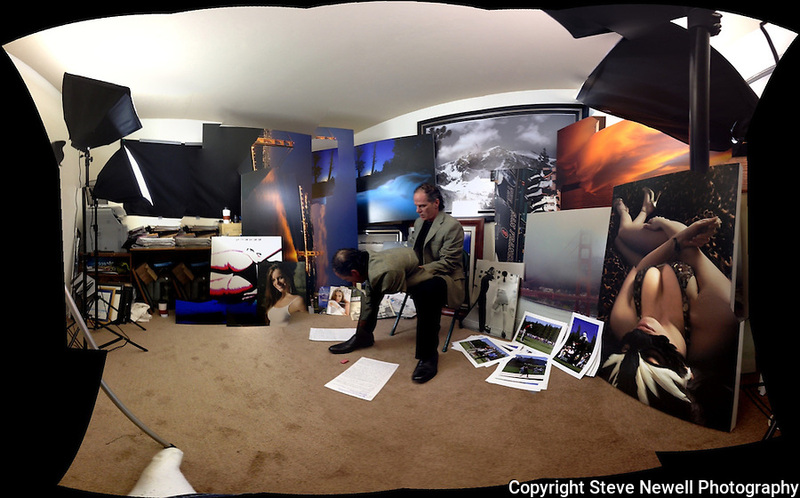 "The Studio" An action shot of me shooting a video talking about my work while surrounded by various samples in my studio. I specialize in large oversized landscapes but have shot several types of professional photography over the years. I do all of my own printing using a 44" wide Epson Stylus Pro 9900 using their latest UltraChrome K3 HDR archival inks(11 different colors). I only use the best quality materials to produce my work. As you can see in the photo I have some of my photographs custom framed(by an excellent local custom framer) and also print on canvas. I offer GALLERY QUALITY WITHOUT THE GALLERY PRICES ! I also print for other artist and provide photo/video services for those in need.